Allergy sufferers beware! These eyedrops are a scam. Spring allergy season is upon us, and plants are bursting into leaf and bloom, spreading pollen everywhere. For some of us, this otherwise beautiful season is a time to stock up on antihistamines and tissues, and we try our best to stay indoors. When pollen causes red, itchy eyes, we look for eyedrops to provide some relief. The American Academy of Allergy, Asthma, and Immunology and has a list of eyedrops here that includes products such as Zaditor®, Alaway®, and others. These eyedrops contain real medicine that can soothe itchy eyes and reduce your allergy symptoms. So I was in the pharmacy section of my local grocery store, Giant, looking for eye relief, but they were sold out of Zaditor. Right next to the empty slot, though, I saw a row of other eyedrops from a company called Similisan®, and I took the picture shown here. 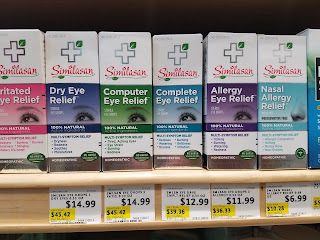 Homeopathic eye drops at Giant Foods in Baltimore. Looks legitimate, right? Each box has a cross on it (apparently intended to resemble the logo of the Red Cross), and they are in the pharmacy section. I picked up the box labeled "Allergy Eye Relief" to take a closer look, though, and saw the word "homeopathic" near the bottom of the box. Yes, that's right: they grind up honeybees and put them in the eyedrops. The (wacky) idea is that because bee stings cause allergic reactions, a tiny bit of ground-up bee in solution will prevent those reactions. This flawed principle is the basis for all of homeopathy, which has stuck around for 200 years despite the complete absence of evidence that it works. As I've written before, homeopathic drugs get a free pass on regulation, thanks to Congress. Homeopaths will tell you that their drugs are regulated by the FDA (they often make this claim in the comments on my articles - just watch), but they're not. All the FDA can do is check to see if the products contain the ingredients listed on the label. Unlike real drugs, though, the FDA does not and cannot require that these "drugs" have any effect whatsoever. "Eyebright was used as early as Theophrastus and Dioscorides, who prescribed infusions for topical application in the treatment of eye infections. This in large part was due to the similarity of the “bloodshot” petals to irritated eyes." Sabadilla, the third ingredient, is a plant extract used as an insecticide, with an active ingredient called veratrine. As Laura Pottorff from Colorado State University explains, "its dust can be highly irritating to the eyes." Therein lies the homeopath's motivation for using sabadilla in eyedrops: homeopaths believe that a substance that irritates the eyes will somehow soothe the eyes if it is sufficiently diluted. "The uses of our products are in compliance with official Homeopathic Compendia. They were not the subject of approved applications reviewed by the Food and Drug Administration prior to marketing." In other words, they've never presented any evidence that these things actually work. One can only hope that the sabadilla in Similisan's eye drops is sufficiently diluted; if not, you're putting insecticide in your eyes. The package says that all three ingredients are at 6X dilution, which in homeopathic jargon means 1 part in 1 million. The problem is that homeopathic substances have no real standards, so we don't know how much of the active ingredients were in the original mixture before dilution. I was curious to see if Whole Foods Market sold the same stuff, and not surprisingly they do, in their special section devoted to homeopathy. (I've written about WFM and their love affair with homeopathy before.) The only difference is that Similisan costs more at Whole Foods, $11.99 to $14.99 depending on which flavor you buy (check out the photo below). money do you want to waste on a tiny water bottle? Homeopathic eye drops are nothing more than really, really expensive water. At $10 for 10 ml, that works out to $1000 per liter. Similisan proudly states that it's sold at a wide variety of U.S. retailers and pharmacies, including CVS, Kroger, Publix, RiteAid, Safeway, Target, Walgreens, Walmart, and Wegmans. Seems like they're doing quite a good business selling their $1000/liter water. 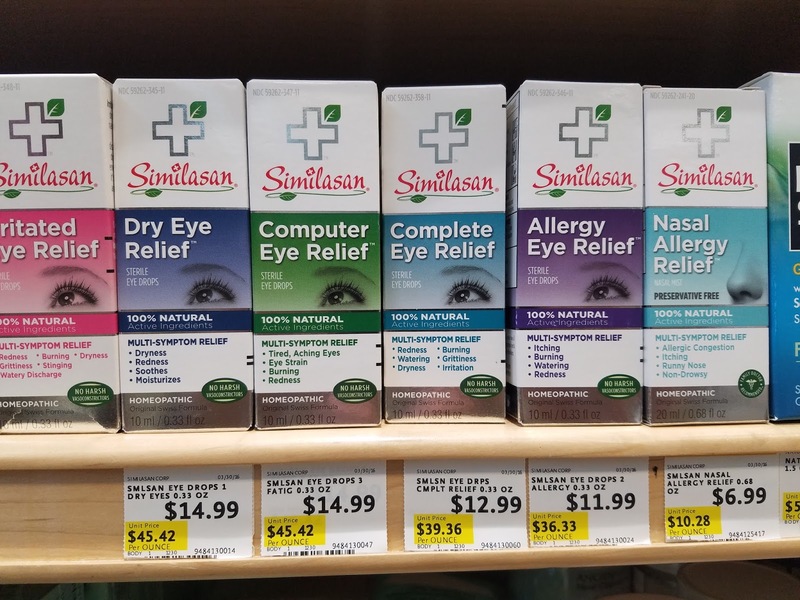 Consumers beware: the eyedrops you're looking at, even in the Pharmacy section of the store, might be expensive, ineffective make-believe medicine. Make sure to read the package closely; the fake medicine is sometimes right next to the real stuff, and the packaging is designed to fool you. 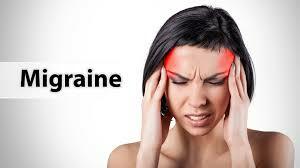 The Washington Post has some bad news about migraines. Every Tuesday, the Washington Post has a special section devoted to Health and Science. It’s usually my favorite section, with features such as “medical mysteries” and highlights of the latest news from the world of science. Not this week. Instead, the front page of the section featured a lengthy article that was a long anecdote by a woman who firmly believes that acupuncture cured her migraines. The title gave me a feeling of dread: “Acupuncture needles stung, but they cured my migraines” (the online version linked here has a different title). As I feared, there wasn't a whit of science in it. Let’s get one thing out of the way first: acupuncture is rank pseudoscience. It’s based on a primitive, pre-scientific notion of a “vital force” (for which no evidence exists), usually called qi, that runs through the body along meridians (no evidence for these either). Plunging needles into the meridians is supposed to manipulate this vital force and cure all sorts of things, ranging from pain to infections to cancer. All of this is nonsense. If you want to know more, I recommend Acupuncture Watch; or see Ben Kavoussi’s article explaining how postmodernism, with its notion that all truth is relative, has allowed acupuncture and other mystical, archaic beliefs to gain traction in medical practice; or check out Jann Bellamy’s discussion of acupuncture as “legalized quackery”. I’ve written about the nonsense that is called acupuncture before (in 2013, and in 2012, and in 2010), so I won’t rehash that here. But it’s really disheartening to see a great (or once-great?) newspaper devote a large chunk of its weekly science section to pseudoscience. Great. Now, there’s nothing wrong with looking for solutions in the Internet–we all do it. But this is an article in the Washington Post Science section! Nowhere does the author describe anything resembling actual science. Instead, she describes how she discovered a “breakthrough” in her yoga class, when another yoga student suggested acupuncture. She decided to give it a try. After several acupuncture sessions, the author tells us, her migraines seemed less frequent, and eventually she decided she was cured. She still gets migraines, but when they get bad she uses acupuncture again. This, she tells us, is her cure. Last week's Washington Post Science section was a major fail. I can't imagine why they gave a lengthy forum to a non-scientist to write about pseudoscience. If they wanted to feature a story about migraines, there's plenty of good science out there, even if there's no magical cure. What's next, Washington Post? Will you invite Jenny McCarthy to write about vaccines and autism, or Gwyneth Paltrow to discuss detox treatments? I sure hope not.